The Gospel readings for this coming liturgical year will be taken from the Gospel of Mark, with its blunt and powerful portrayal of Jesus and the meaning of discipleship lived in the shadow of the cross. The two sessions of this ACP program will consider first Mark’s vivid portrait of Jesus and his mission and then the Gospel’s unique view of the disciples and the cost of following a crucified Christ. 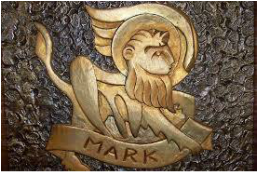 The presentations will keep in mind the significance of Mark’s theology for preaching, prayer, and liturgy. Rev. 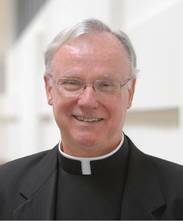 Donald Senior, C.P., is President Emeritus of Catholic Theological Union in Chicago (CTU), where he is also a member of the faculty as Professor of New Testament. He received his doctorate in New Testament studies from the University of Louvain in Belgium in 1972, with advanced studies at Hebrew Union College in Cincinnati and Harvard University. He is a frequent lecturer and speaker throughout the United States and abroad, serves on numerous boards and commissions and is actively involved in the interreligious dialogue. Fr. Senior has published extensively on biblical topics, with numerous books and articles for both scholarly and popular audiences. He is the general editor of the acclaimed Catholic Study Bible (Oxford University Press, rev. ed. 2006) and editor in chief of the journal, The Bible Today.